Israel, c. 1960. Made by Bier. 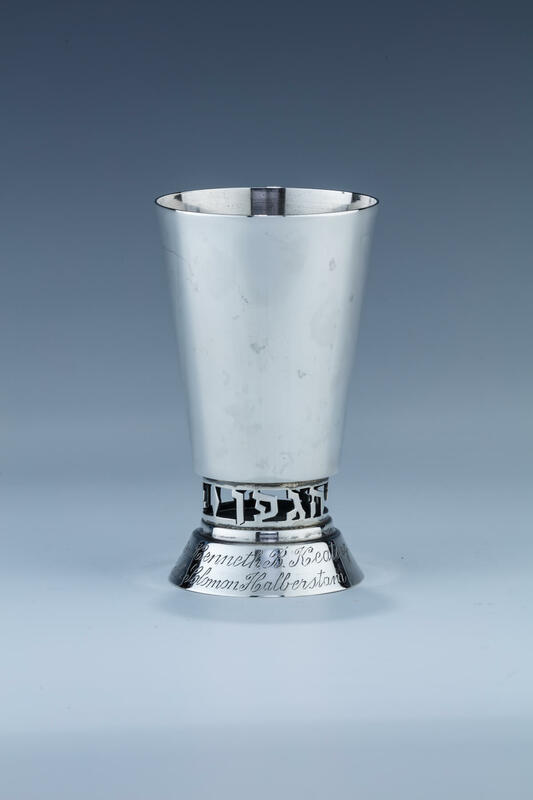 Inscribed on base with inscription from Rabbi Halberstam (the third Bobover Rebbe) to Senator Kenneth B. Keating (Republican, 1959 – 1965). Senator Keating also served as the United States ambassador to Israel from 1973 – 1975 when he passed away. 4.2” tall.